Tasmanian writer Katherine Johnson released her second novel The Better Son in October 2016, and we are very pleased to feature it as one of our Recommended Reads for this month. We’re also delighted that Katherine took the time to have a quick chat with us. Congratulations on the release of The Better Son! Can you tell us a bit about the book? The back cover of The Better Son has the following one liner: in a town yearning for love but layered with secrets, what is the price of a lie? The novel is set in northern Tasmania in 1952, and is about two young boys who discover an amazing, vast cave with cathedral-like caverns and an underground river, but keep it secret from their parents, who have forbidden them from exploring the region’s labyrinthine underworld. The cave seems the perfect escape from their shell-shocked, war-veteran father, until disaster strikes. Afraid of his father, Kip, the younger boy, lies about what happened. It is a lie that follows him for the rest of his life. How has the book evolved from its initial conception to eventual publication? The Better Son started life under the working title Kubla, after an incredible cave in the Mole Creek Karst National Park. There are actually over 300 caves in the Mole creek area, several of which are open to the public. (Kubla Khan cave requires special permits.) In 2010 I visited Marakoopa cave with my family and learned of the story of two young brothers, Harry and James Byard, who discovered this cave near their farm and explored it for some time before telling anyone. As soon as we were back in the car, my brain was working over story lines. Why would two young brothers keep the cave a secret? Why would they have needed a place of escape? These caves are enormous – what was it like for them to be in there in the total darkness with only meagre lighting? What else was going on around them – their family, the local post-war community? What if one of the boys didn’t make it out? What would be the effect on the surviving brother? How would it impact his life? His family? Would he ever go back? I knew there was a novel here, and I knew my brain wouldn’t let it go. I then also learned of Kubla cave, the largest cave in the area and a famous cave among cavers worldwide. The two ideas merged: two small boys and one of the world’s most incredible caves. A couple of other guided research trips followed, one to Genghis Khan cave (a neighbour of Kubla Khan), and another to Marakoopa cave out of hours and beyond the areas normally available to visitors. My writing process is one of many drafts, and I don’t necessarily know how the story will end when I start writing. I think I quite like the mystery. It keeps me hungry to write more. I know that that approach doesn’t suit everyone, but for me it seems the only way, and it comes as a huge relief when I have some sort of draft down. When there is a beginning, a middle and an end. Then the hard work of reworking and lifting the writing and the characterisation and the nuance begins. It has taken me six years to finish The Better Son. In that time, several significant things have happened that have provided encouragement along the way. One was receiving an Arts Tasmania grant, which I appreciated enormously, as much for the validation it provided as for the financial support. I also won a HarperCollins Varuna Manuscript Development Award in 2013, which enabled me to work with an editor for ten days at Varuna, The Writers’ House at Katoomba. I was fortunate to have won this award for my first novel, Pescador’s Wake, so knew it to be a great opportunity. The chance to work with an editor was wonderful, but also the chance to live alongside four other writers for the duration, and to feel that ‘writing’ was something that was really valued. Kubla, as it was then known, also won two awards in the Tasmanian Literary Awards in 2013: The University Prize for a manuscript by an emerging writer, and The University Prize ― which both provided important shots of encouragement. During this time, my then agent showed the novel to a few publishers but, although they liked aspects of it, didn’t yet acquire it for publication. So something was working, but clearly not yet enough. I had to rethink the novel, and I did so using the feedback I received from publishers who, very generously, identified the main sticking point(s). I revised. This book has been such a journey. I also considered a restructure, to improve the pacing. I revised further. And the book improved. For some reason, this novel just needed time to evolve, to find its final shape, and it is better for it. I then received an offer from Jane Curry at Ventura Press, an independent publishing house in Sydney with links to Simon and Schuster. Working with Ventura has been terrific. How was the transition from science journalism to fiction writing – did you find that the two forms complement each other, or was it a challenge? I worked as a science journalist for over a decade before writing fiction but still freelance from time to time. I really enjoy both forms. The freedom of fiction, the ability to explore emotion and experiment with creative ideas and expression is what drew me to this form. Do you think Tasmania is a good place to be a writer? Tasmania is a great place to be a writer! We have a vibrant and supportive writing and reading community, the fabulous TWC, and an incredible environment to draw inspiration from. Can you tell us about doing a PhD in creative writing, and what the value of that has been to you as a writer? Writing my current novel as a PhD at the University of Tasmania has been a very positive experience. I am fortunate to have as my primary supervisor Tasmanian writer Dr Danielle Wood, who has provided very valuable feedback. Also, my project is historical fiction, so research has been critically important. Having access to the university’s library, and consulting with academics (including my secondary supervisor Dr Mitchell Rolls) across the university has been enormously valuable, as has the opportunity to apply for travel scheme grants. 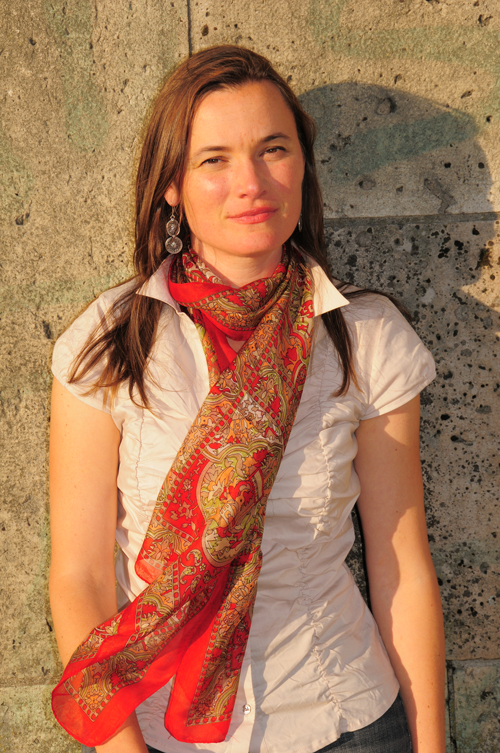 Earlier this year I presented at a writing conference in London and spent a week conducting research in Germany. Did your 2013 Tasmanian Literary Awards change things for you? Yes, they provided a much-needed shot of encouragement and signalled to publishers that the book has potential. I think the emerging writer category is an important one, because, as strange as it is, the second book seems to be a more difficult road to travel than the first. Yes, I wonder that sometimes! I think I will always be a writer. I don’t understand where the drive comes from but I know that it is something I have to do. My mum is a visual artist, so the need to express myself creatively might be in the genes. Can you tell us a bit about where and how you write? I write every day. I have children, so I write mostly when they are at school and sometimes (when editing a book to deadline) steal time in the evening and on weekends. I used to write part time around my science journalism work at CSIRO, but, given the PhD, am now writing full time. Who are some of your own favourite writers and recent reads? I always find that a difficult question to answer for some reason. I enjoy Ian McEwan, Barbara Kingsolver, Kate Grenville, David Malouf, and many more. I’m currently reading The Signature of All Things by Elizabeth Gilbert and recently finished Remembering Babylon by David Malouf and The Strays by Emily Bitto. Are you able to share with us any plans for your next project? It’s a novel of Australian historical fiction that is totally consuming me right now! It’s ever-evolving, so it’s a bit too soon to discuss. Ask me in another year! 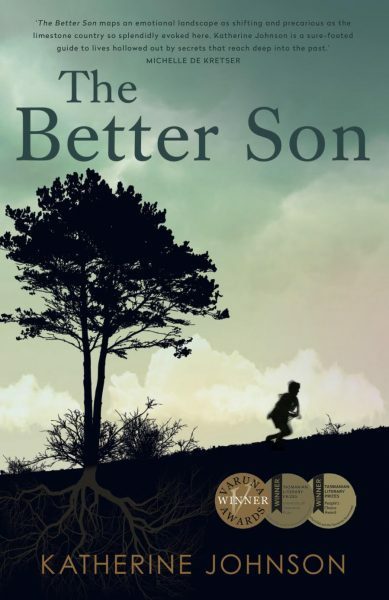 The Better Son is available now from all places where good books are sold. You can also connect with Katherine through her website or Facebook page.